September often feels like the midwife of change: vacations end - kids are back at school and adults back at work. Mother Nature begins her fashion show, dazzling us with her spectacular gown of multi-colored leaves. Thoughts begin taking shape for fall holidays like Hallowe'en and Thanksgiving. And, for me, because I’m Jewish, I get caught up in the “High Holidays,” Rosh Hashanah & Yom Kippur, the beginning and end of the Jewish New Year, respectively. 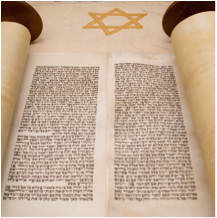 The High Holidays are filled with introspection about change because Jews around the world are praying to be inscribed in the Book of Life for the coming year. We are required to look into ourselves, see where we have sinned and ask for forgiveness either of God or our fellow man, depending on the nature of the sin. This process is called teshuva, which means repentance and involves “turning” away from undesirable behavior and “returning” to the purity of mind, heart and spirit we were born with. In our professional lives we know that change is the focal point or epicenter of coaching. We repeatedly see clients who come to coaching because they want to make a change (have a baby, move across country, become a more skillful leader) or need to respond as gracefully as possible to change that’s being thrust upon them (illness, divorce, getting laid off or fired, etc.). On closer inspection we understand that we all have our customary ways of understanding and relating to the world. It takes a serious commitment to change how we have always thought about things or done things. We have to remember that this type of change requires considerable effort because, through continuous use, we’ve already neurologically hardwired our customary thought patterns and behavioral responses, which have become our default settings. And unlearning and relearning take time, patience, and a good bit of practice. It never hurts to have good wishes rained down on us, so please accept the customary greeting for the Jewish New Year “L’ Shanna Tova”; and may you all be inscribed in the Book of Life for a good year.